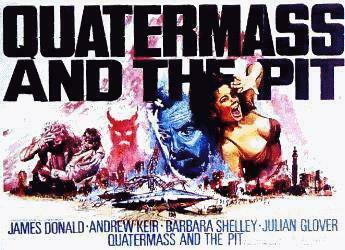 The House That Dripped Blood and It's "Little Brother"
In 1955 a small studio based in the U.K. released a film entitled, "The Quatermass Xperiment". This sci-fi film was based on the Nigel Kneale story and quickly found an audience, both in the U.K. as well as the U.S. The studio responsible for this film was, Hammer Studios and little were they to know that they were about to rewrite the record books for nearly the next twenty years. In 1957, the world stood up and took notice of this studio when Hammer released their version of the Mary Shelley story, "Frankenstein". Hammer's version, entitled, "The Curse of Frankenstein", was a world-wide success with audiences and starred, Peter Cushing in the role of Baron Frankenstein and Christopher Lee as his creation. Following the unqualified success of that film, Hammer released, "Dracula (Horror of), the following year and the rest, as they say is history! Amicus films are often mistaken for Hammer films and for good reason, they often shared the same directors and actors! Amicus films were often anthologies and had the good fortune of being based on short stories by Robert Bloch, of "Psycho" fame. Amicus made the most of their small budgets and graced the fans with some superb films.